For most Canadians, filing tax is an annual civic ritual to which we obligingly submit. For low-income households, however, tax time is an important – and often missed – opportunity to bolster household finances. By calling 211 Canadians living on low incomes can access free tax preparation services offered by government, and community-based service agencies, and possible income boosts available through filing tax. “Most Canadians would be quite shocked to learn that every year over $1 billion of income benefits and tax credits that our parliament has legislated for the needs of the most vulnerable people in Canada never make it into their pockets,” says Adam Fair, VP of Strategy and Impact at Prosper Canada. Prosper Canada is a charity dedicated to expanding economic opportunity for Canadians living in poverty through program and policy innovation. In 2015, Prosper released a report on the income boosting benefits of filing tax for Canadians living on low incomes. 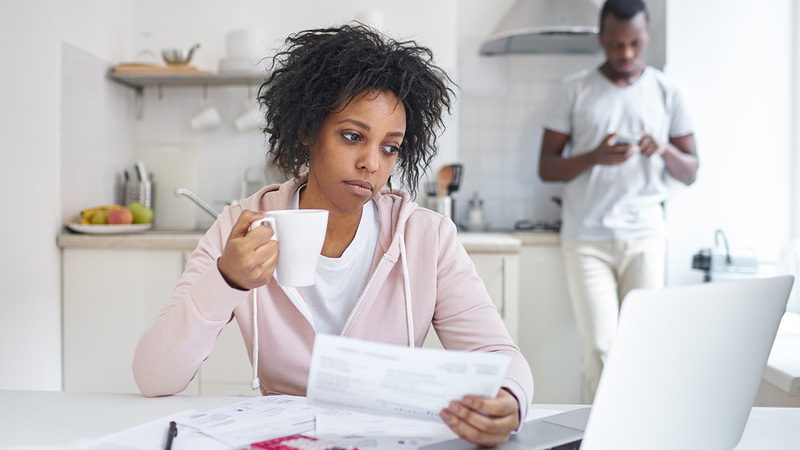 The report says that low income Canadians are often unaware that they can improve their income by filing tax, or they simply experience too many barriers to filing. As a result, Canadians living on low incomes have a lower rate of filing tax. There are a wide range of government benefits, grants, and savings programs that subsidize low-income earners. Many of these services and entitlements can only be accessed by filing tax to either claim the benefits directly or to establish eligibility. Available benefits vary from province to province but in Ontario alone, there are 41 potential federal and provincial income benefit programs that people with low-incomes can access directly or indirectly through tax filing. Tax credits could make up as much as 40% of a household on social assistance’s income. For example, a single parent with two children paying $800 a month in rent and earning $14,000 a year working part-time can access child benefits, the GST/HST credit, the federal working income tax benefit, and the Ontario Trillium Benefit, nearly doubling their income. The boon to household finances from tax benefits can significantly improve the lives of recipients. According to a 2011 study, the Canada Child Benefit (CCB) has been shown to improve recipient children’s educational outcomes and physical and mental health. There is also evidence that these benefits can improve workforce participation among single mothers. Tax filing can be a daunting task. According to a 2013 survey published by the Bank of Montreal, 42 per cent of Canadians rely on outside help to prepare their tax returns. Software has made preparing a comprehensive return easier, but using it requires a level of computer literacy and access. If you’ve ever cracked the spine on a pen-and-paper tax form, they are more than a little intimidating. Three years ago, United Way Niagara identified a gap in low income tax preparation service in its region and made significant investments to help address the need. They worked with 211 Ontario to schedule appointments for clients and greatly improve access to tax filing clinics for people in their community living on low incomes. In 2017, United Way Niagara volunteers filed 776 tax returns which resulted in $1,941,914 returned to the community. “From our perspective it’s a great return for our community. We see it as helping low income people to access entitlements that are there to help them,” said Carol Stewart-Kirby, Executive Director for United Way Niagara. There is a cross-country network of 15,000 volunteer tax preparation specialists trained and organized by Canada Revenue Agency’s Canadian Volunteer Income Tax Program (CVITP). Bill Caldwald is a 27-year volunteer with the program. In that time, Caldwell has prepared tax forms for countless clients from many different walks of life, including; seniors, new Canadians, students, low-income earners, and the residents at a nearby women’s shelter. His training, experience, and knowledge allow him to identify his client’s unclaimed benefits and prepare comprehensive tax returns. “When I sit down with low income seniors or my clients at the women’s centre, the look on their face when they find out; Number 1 their taxes are done, and Number 2 they have a refund as a result of something they did not know about, is an absolute delight,“ he says. Call 2-1-1 for help finding a free tax clinic close to you. To qualify for assistance certain eligibility thresholds apply. These can vary based on jurisdiction but the CRA website provides some guidelines. Also, for the first time in 2018 about 950,000 Canadians with low or fixed incomes will be eligible for the CRA’s new “File my Return” automated service which makes filing simple tax returns by phone possible.